I put a heap of music on a 16gb SD card in my MK 7 Highline and it sounds fine. Easy to access through display menu. Sound system sounds very good but of course car acoustics will always sound ok particularly the base notes. there's a big thread about it over here: http://forums.vwvortex.com/showthrea...ount-Subwoofer!! I'd like to know more about that as well, or a better solution for a MK7 wagon. This post - http://forums.vwvortex.com/showthrea...1#post86246969 seems to indicate pretty definitively that it will not fit in the R's. Hmmm i was about to order a helix for my R. Im sure ive seen then done in R's. Anyone with an R and a normal mk7 than can get info on the wheel well? Is it different??? Anyone find out any more on this? Last edited by monkeysrus; 13-10-2015 at 10:35 PM. I am upgrading all my speakers on Monday, retaining the 5.8 factory head unit. Opting for Morel speakers all round with Nakamichi 8" sub, plugged straight in, no amp. Last edited by mitch_gc; 22-02-2017 at 04:28 PM. Although I was coming from a 95 corolla, I did test a lot of cars before settling on the MK7 and the sound quality is actually very impressive. 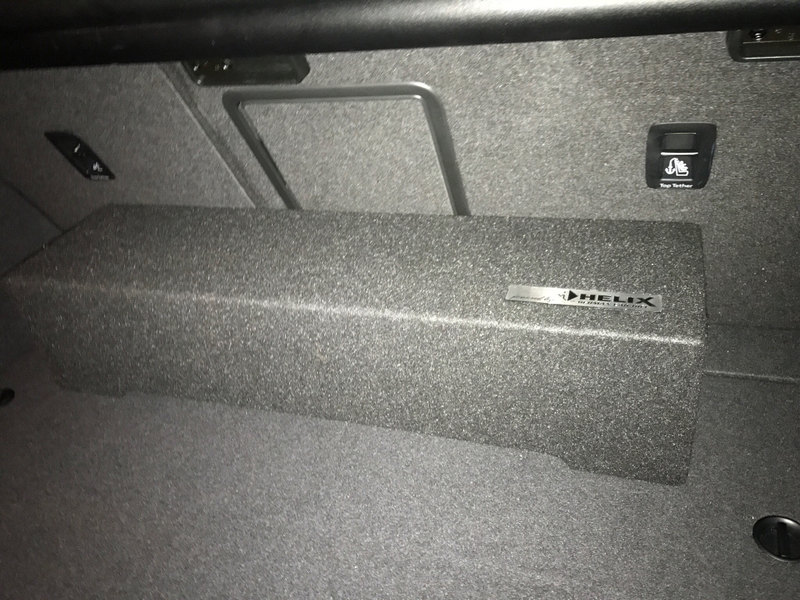 The best sound system I have ever heard was an upgraded system in an e60 series but given how much was forked over for it, you would expect nothing less. For a pretty much entry level vehicle the MK7 sound system blew me away. I have gotten used to it now and now I'm starting to pick faults with it and now I'm wishing it was a little better, but to be honest, the amount I paid for it, forget about it, it's pretty spectacular. I didn't come from a 95 Corolla (more like a 2004 VZ Calais with factory sub) but I agree. The sound is pretty bloody good and meets my expectations for a daily drive.